Warning - WeTransfer Scam Emails are coming to an inbox near you! Are you a user of the WeTransfer service? Be warned! 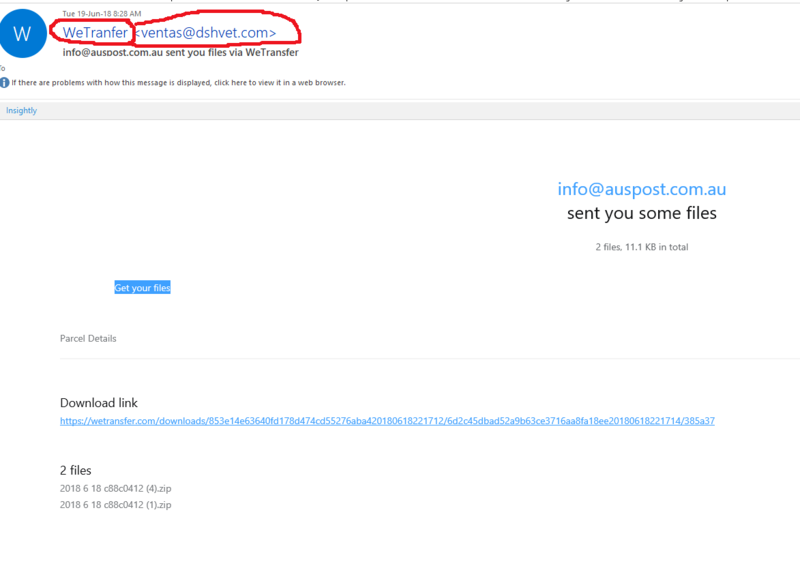 There are some fake emails getting around that are guaranteed to catch some users out! If you haven’t heard of WeTransfer – its a service that lets you send large files to someone else. Because many email hosts have limits on the size of the files you can send, its a handy service to have when you need to send a 2GB file for example. There is a free version, and there is a paid version. The free service lets you send files up to 2GB whereas the paid version lets you send files up to 20GB in size (among other benefits). This email arrived in my inbox no less than 3 times in the space of half an hour this morning, and is no doubt going to catch some customers out. How can I pick that its not a legit email? Are you expecting a file to come through ? I wasn’t! Do you know the name of the person it’s showing as the sender?